David Morrison devotes one day a week on a pro bono basis to Blue Action Fund focussing on investments and financial matters as well as internal operations and legal questions. David is a leader in conservation finance and since 2008 has helped to establish several conservation trust funds and continues to also sit on the Board of the Caucasus Nature Fund and the Prespa Ohrid Nature Trust. 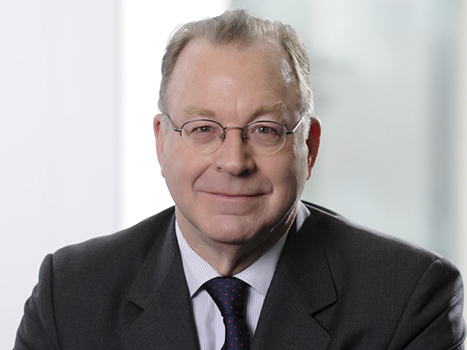 Prior to his work in nature conservation, David worked for 28 years at Sullivan & Cromwell LLP, where he served as co-managing partner of the firm’s Continental European offices. His practice focused on advising public companies in a transactional context, from capital raisings and IPOs to mergers and acquisitions. Key clients included major investment banks, automobile and telecommunications companies, and Germany’s development bank KfW. He has been recognized as a leading lawyer in Germany and France. David serves on the Board of Directors of two UK listed companies in the Republic of Georgia: BGEO Group, the holding company for the country’s largest bank; and Georgia Health Care Group, the largest operator of hospitals and clinics in the country. David received his undergraduate degree from Yale College, received his law degree from the University of California, Los Angeles, and was a Fulbright scholar at the University of Frankfurt am Main.